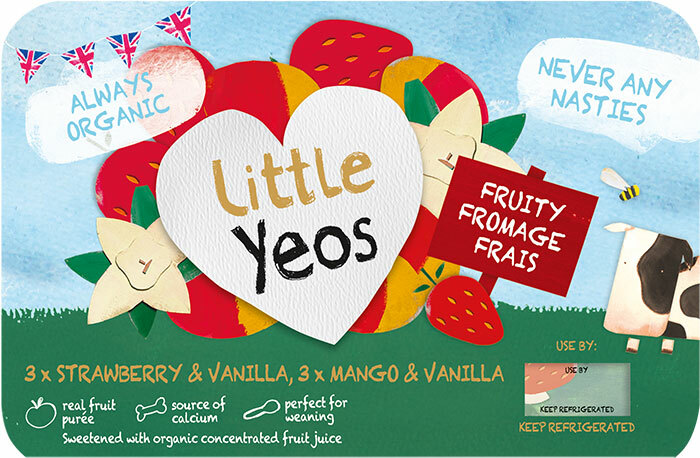 Our creamy organic fromage frais blended with organic fruit purée, either raspberry or apricot in this pack. 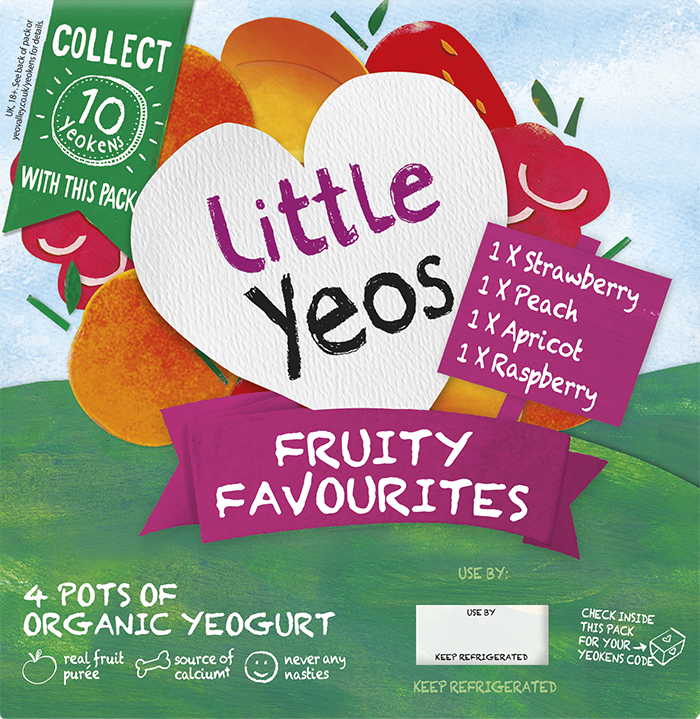 Sweetened only with organic concentrated fruit juice, they’re perfect for weaning your little ones. 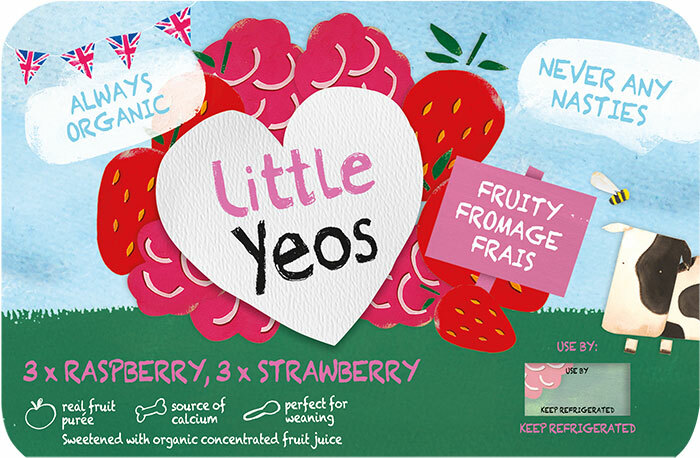 RASPBERRY: Organic fromage frais (milk), organic concentrated grape juice, organic raspberry puree (5%), milk protein, organic maize starch, natural flavouring, organic concentrated lemon juice. 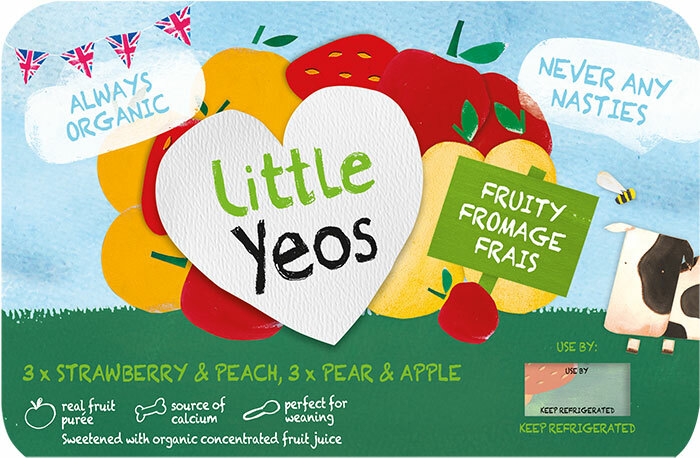 APRICOT: Organic fromage frais (milk), organic concentrated grape juice, organic apricot puree (5%), milk protein, organic maize starch, natural flavouring, organic concentrated lemon juice. I discovered these in the supermarket a few weeks ago. I did used to buy petit filous (sorry!) and then realised the amount of sugar I was giving my 1 year old (not good). I looked at the back and saw no refined sugar so I took it home to test on my little one. He loves it! and I tried them too. Tastes better than other brands. I just think the yeoken idea is great and the sleeves being used for craft projects and recycling. I think this company is great. Thanks for converting me!